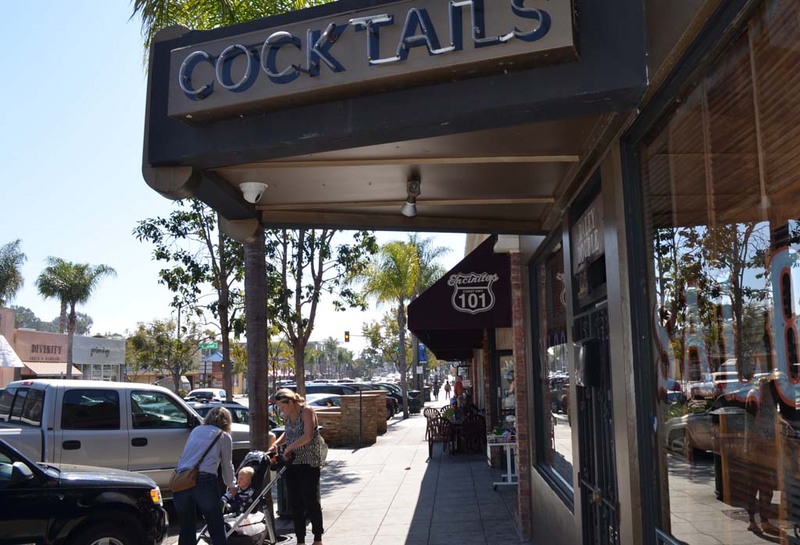 ENCINITAS — Before looking at new regulations for bars, more resources should be dedicated toward enforcing existing laws, the city’s planning commissioners stated last week. The Feb. 20 meeting was dedicated to providing input on a deemed-approved ordinance, which the City Council is scheduled to vote on in March. Under the ordinance, all alcohol-serving establishments that turn off the lights after 10 p.m. would have to meet stricter standards for noise, trash and other metrics. Instead of endorsing the ordinance, planning commissioners voted 4-1 to recommend stepping up code enforcement checks on bars. Relatedly, they want to make it easier for neighbors distressed by rowdy nightlife to file a complaint. To give time to gauge the effectiveness of an enforcement push, the planning commissioners said the city should delay consideration of the deemed-approved ordinance until early 2015. “My feeling is that it comes down to enforcement in a huge, huge way,” said Planning Commission Chair Kurt Groseclose. Groseclose said he’s not opposed to the idea of a deemed-approved program, but added it doesn’t make sense to pass the ordinance without the means to hold noisy bars and establishments with litter accountable. He said enforcement shouldn’t fall on the Sheriff’s Department alone — the city should also play a major role. Also last week, City Council weighed in on whether to increase a code enforcement officer’s position from part time to full time, bringing the total number of full-time code officers to two, allowing for proactive downtown enforcement. A council majority opposed the change, striking it down — at least for now. They said the full-time position should be considered when more is known about the larger budget picture in May and if the city is going to pursue the ordinance. Dale Polselli, who owns the Daley Double Saloon, spoke on behalf of the Encinitas Hospitality Association, a group of bar owners that have opposed the ordinance. Polselli said the association has invested nearly $25,000 on private security patrols and other measures to address residents’ complaints in the past few months. “We have a slew of other initiatives that we’re looking to do as well,” Polselli said. Planning Commissioner Glenn O’Grady, who cast the sole vote against postponing the ordinance, said it’s encouraging that the association has made an effort to improve the situation. However, O’Grady said the association’s enthusiasm for cleaning up downtown could wane, arguing that council approval of the ordinance would keep bars in check. “I want to see any kind of volunteer aspect continued and encouraged…But I still think something like a deemed-approved ordinance needs to be there as a backstop,” O’Grady said. Presently, bars that obtained a liquor license 20 years ago face fewer regulations. The proposed ordinance would create a stricter permit system for all late-night bars, which proponents of the ordinance argue would create a level playing field. When a complaint is filed, according to the proposed ordinance, a code enforcement officer or Sheriff’s deputy would investigate the matter. 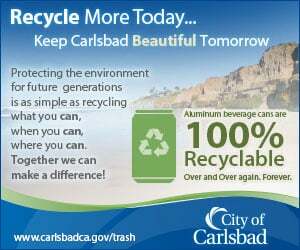 To levy a fine, evidence would have to demonstrate a bar is responsible for trash, for instance. Repeat offenders would face a $500 fine or even the loss of their liquor license if found culpable during an administrative hearing. O’Grady said San Luis Obispo reported a similar ordinance resulted in better behavior among bars and no administrative hearings. Planning Commissioner Anthony Brandenburg, a judge on the Intertribal Court of Southern California, said it would be difficult to determine if a bar is actually responsible for noise levels or other problems. For that reason, he called the ordinance “overbroad and vague,” casting doubt on whether it could pass constitutional muster. But O’Grady countered that, so far, the measure held up to legal scrutiny in 17 other California cities. More than 141 alcohol-related complaints have been filed with the city over the past five years, according to a staff report on the item. The Sheriff’s Department received 67 calls for service to bars. Resident Martin Schechter said residents upset with alcohol issues usually don’t contact the Sheriff’s Department with complaints. They’re dissuaded because there’s usually a busy signal and they’re told it’s a low-priority call, he said. Planning Commissioner JoAnn Shannon said she was surprised there weren’t more complaints given residents’ objections to downtown drinking in the past two years. To eliminate the “disconnect,” she said the city should establish a single-point of contact — a number and email — to better track and address intoxication issues, like vomiting. The city should advertise the number by posting signs around bars, she said. Shannon added that solutions like that should be looked at before moving forward with new regulations. “I’m just not ready to say, ‘Council this is it, this is going to solve the problem,’” Shannon said of the proposed ordinance.